On a recent shopping trip last month i found myself at the perfume department, of the store. What is great about shopping for scents is certain stores have testers out for you to use and decide which ones you like, before you buy. I always find stores that have "testers" to use a great help for the customer to see if your sense of smell has changed and to try new scents that have just arrived on the market. A quick tip is to write notes on your phone of all the scents you have used and liked and then you can find your new fave scent online at the best price! 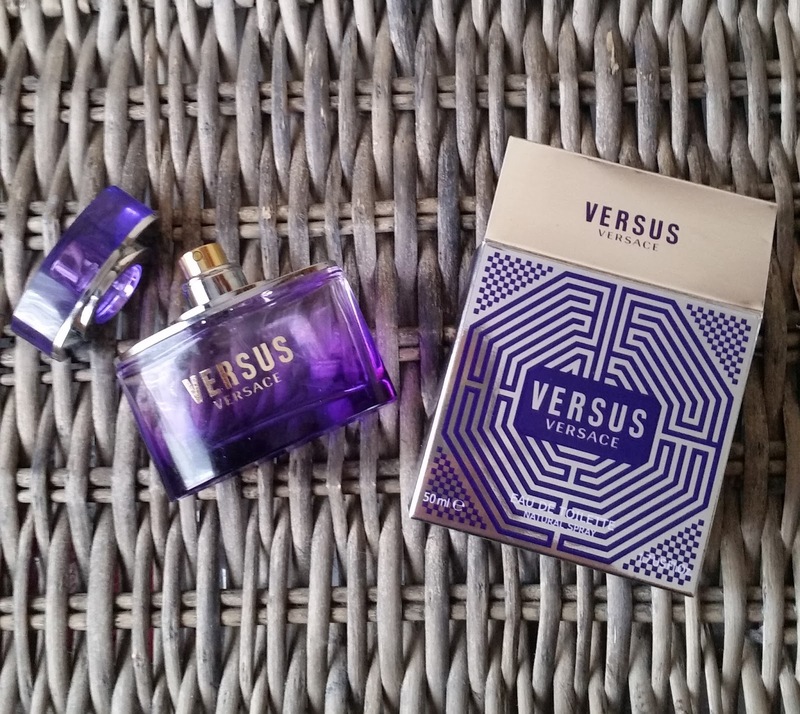 What drew me to Versus Versace was the bluish-purple bottle with the cap matching the same colour. The silver on and around the neck with a gold spray head matching the gold Versus Versace emblazoned on the front, this bottle is stunning with a uniqueness about it. The scent is described as "Pure Energy" and dedicated for those who are strong-willed and have courage for new challenges whilst also based on contrasts for example, romance to partying. Orange Blossom, Stephanotis, Centifolia Rose. On first spray the opening is very citrus with the lemon but the apple and kumquat stop the scent from becoming unbearable, the opening was what really caught my attention as it really is beautifully blended with the opening notes working so well together. The orange blossom (which i love) makes an appearance which knocks the citrus completely out of this scent. A hint of rose which brings the floral note, starts to bring this scent down to a light musk with hints of fruit with that floral, all harmonising together. 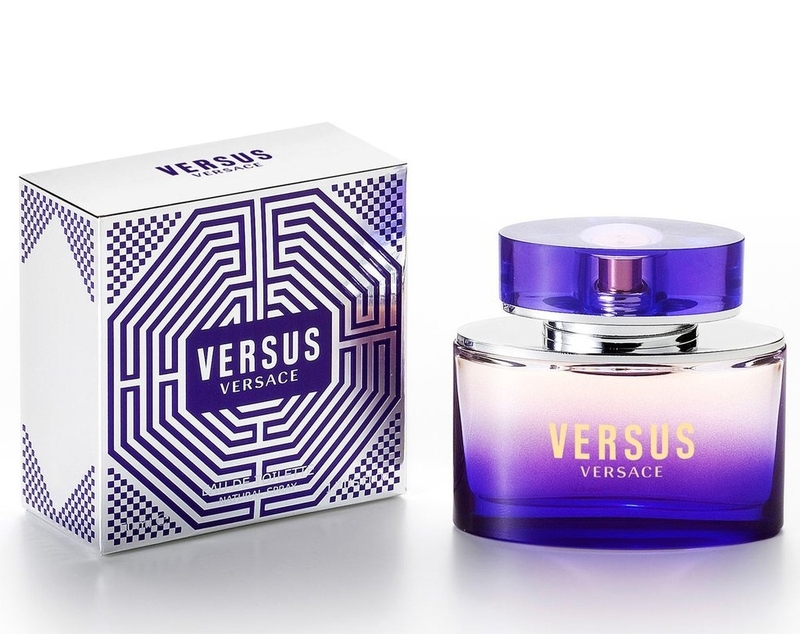 Versus Versace is superbly blended and really does capture those contrasts to fit any occasion and season. The scent sits close to the skin and is light compared to some other scents so if you like loud in your face scents, this isn't it. I would say this scent could be unisex as it appeals to both genders, when compared to other scents on the market. X Neil.